1. Choose bedding in neutrals or complementary colors and patterns to create a cohesive look. 2. 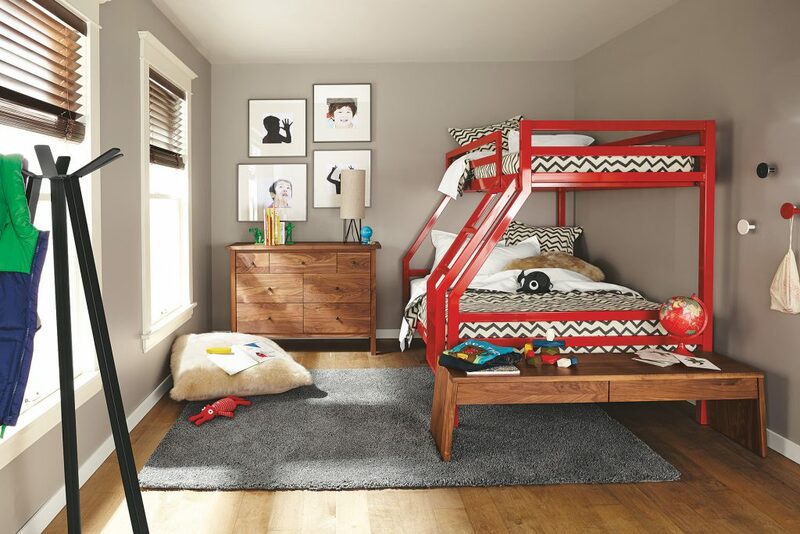 Bunks and lofts are fun for kids and make use of vertical space, leaving more area open for playing. 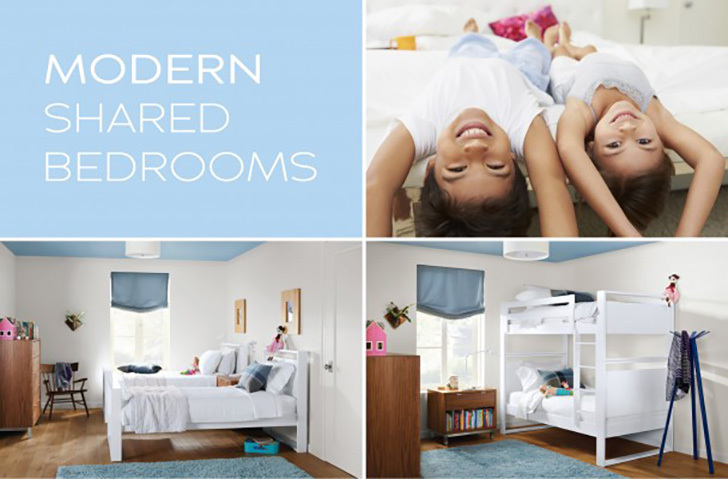 If you have more than two kids sharing a room, bunks are pretty much indispensable. 3. To keep clutter under control, storage is key. Wall hooks and coat racks are easy-to-access options for kids. What are your best ideas to make a shared bedroom fun and functional? Did you share a room when you were a kid?